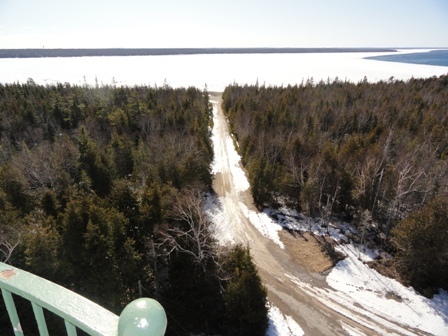 It is a sure sign of spring when SHPO staff heads out for lighthouse site visits! 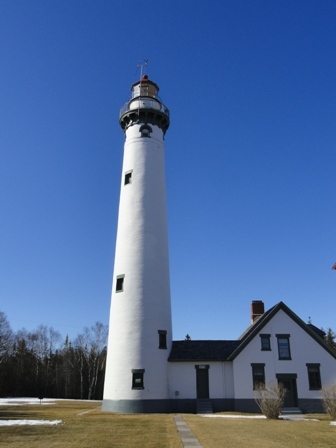 On March 28th, we visited the Presque Isle Lighthouse. 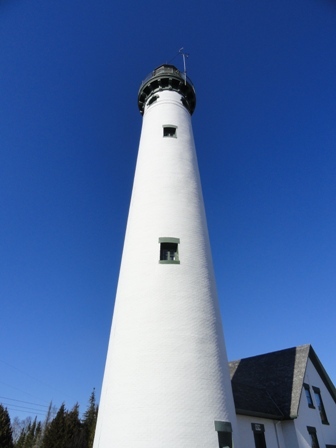 The lighthouse was built in 1870 with an attached Keeper’s Quarters. A second Keeper’s Quarters was constructed on the light station site in 1905. 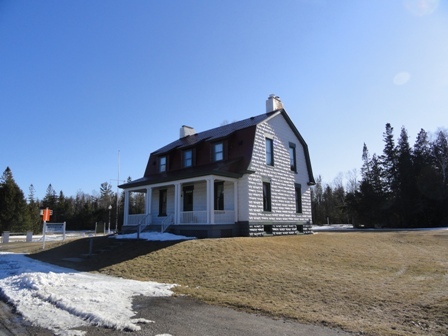 The light station is now owned and maintained by Presque Isle Township. It was a clear and sunny day, but cold and blustery at the top of the tower.